In the early 1900’s there was no hospital in Wamego. Doctors simply made house calls. In 1915, a hospital opened in Dr. Simonton’s newly remodeled home on West 6th Street. While it was much needed, it was intended to be temporary. In 1919, a solution was proposed by JT Genn. Genn promised to donate $10,000 towards the construction of a new hospital provided the community could match his donation. The community succeeded in raising more than $11,000 resulting in the Genn Hospital being built in 1921. In the early 1960’s, plans were in the works for a larger, more modern hospital for the community of Wamego. The Genn hospital was still in operation, but did not pass many of the new building and fire codes. In addition, an average of 10.6 patients visited the hospital every day and that number was expected to keep rising. 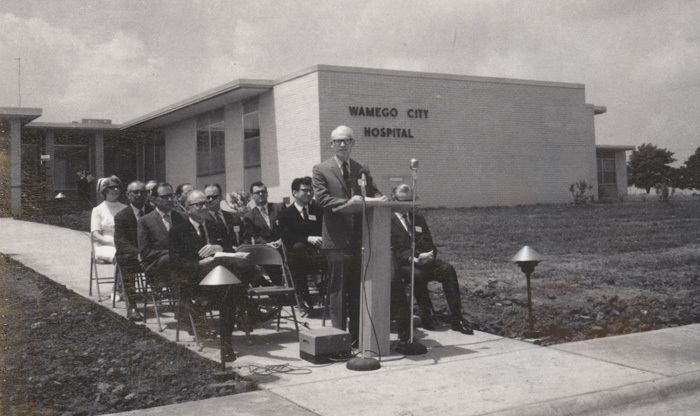 In May 1969, the new Wamego City Hospital was dedicated and opened for service to the community. The new facility cost an estimated $500,000 with half of it coming from the Genn-Clary Endowment Fund. The new facility boasted twenty-six beds, four bassinets and approximately sixty employees. 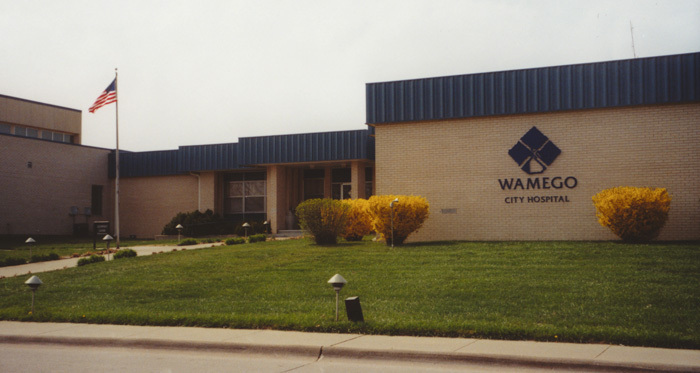 In June 1998, the City of Wamego opted not to renew its management agreement contract with Stormont-Vail. 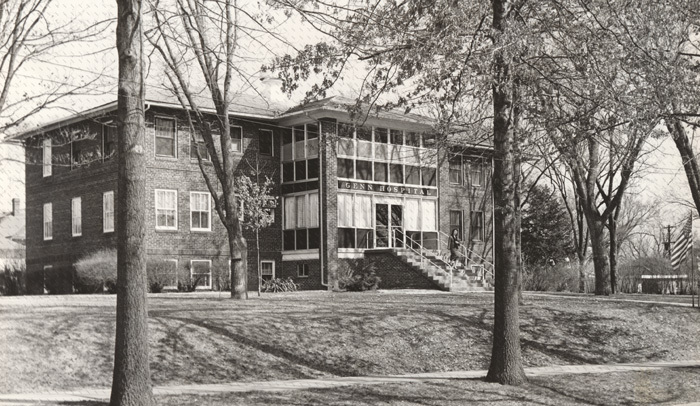 Instead, Wamego City Hospital became an independent hospital. It was hoped that Cotton O’neil (a division of Stormont Vail) would work in conjunction with the hospital by building their clinic on the hospital’s grounds. However, Cotton O’neil decided to build a new office along Highway 24. The hospital faced it’s first competitive environment and feared for it’s financial future. Despite the challenges and concerns, Wamego City Hospital improved it’s bottom line, making up a $98,500 deficit after the first six months as an independent hospital. 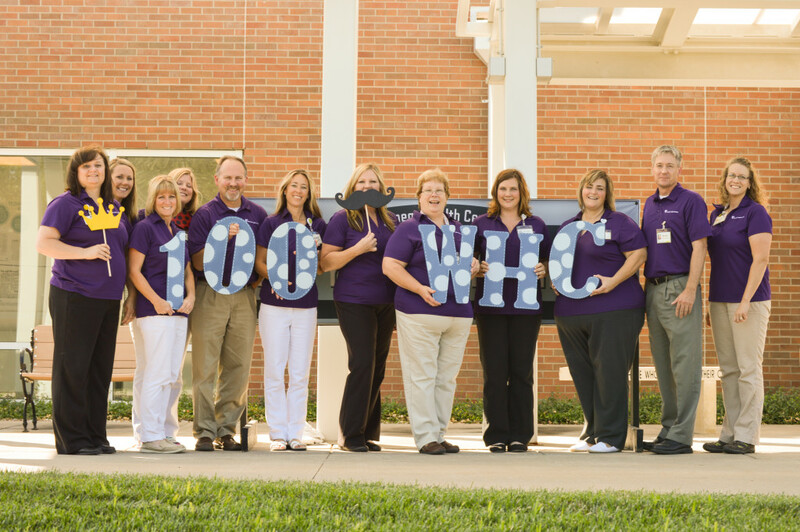 It became clear that Wamego City Hospital secured it future as a leader in healthcare services in the area. As Wamego City Hospital continued to grow, it also expanded its reputation. 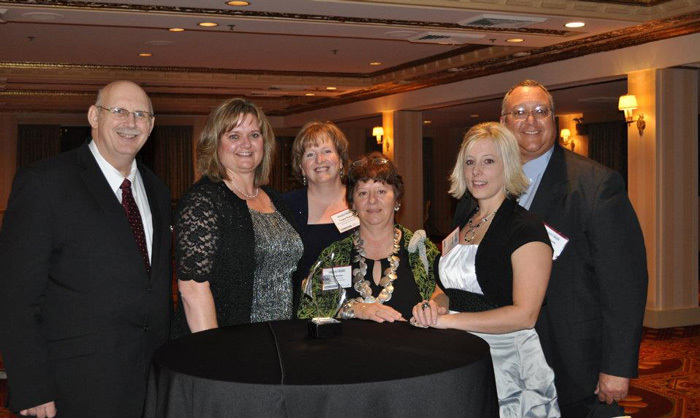 From 2010 to present day, the health center has received awards from the top names in the health services industry. In fact, it has been named one of the top hospitals to work at for three consecutive years. Today, services have expanded to include radiology, laboratory, physical therapy, occupational therapy, speech therapy, cardiac rehabilitation, senior behavior health, women’s health, surgery and daily specialty physicians. To reflect all of these new services, the name was changed from Wamego City Hospital to Wamego Health Center. 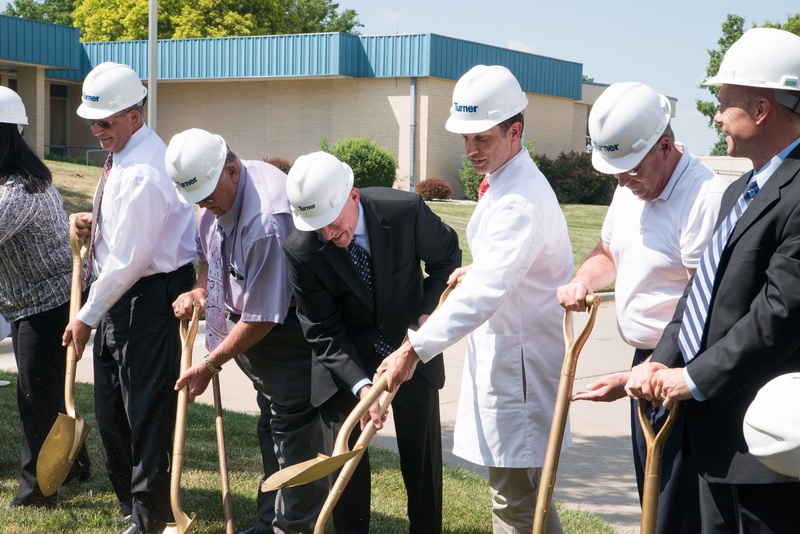 In keeping with its history, Wamego Health Center continues to thrive, and broke ground on an 11,000 square foot site expansion in 2017. The expansion included improvements and renovation necessary to accommodate the region’s population growth and increasing healthcare needs. Departments affected by the renovation included Laboratory Services, Emergency Services, Surgical Services, Wamego Family Clinic and Heartland Rehabilitation. The Main Entrance was also expanded and renovated. All of the changes will help support Wamego Health Center’s mission to provide excellence in patient care for years to come. In April 2018, the Heritage Senior Behavioral Health program moved into its new permanent home. 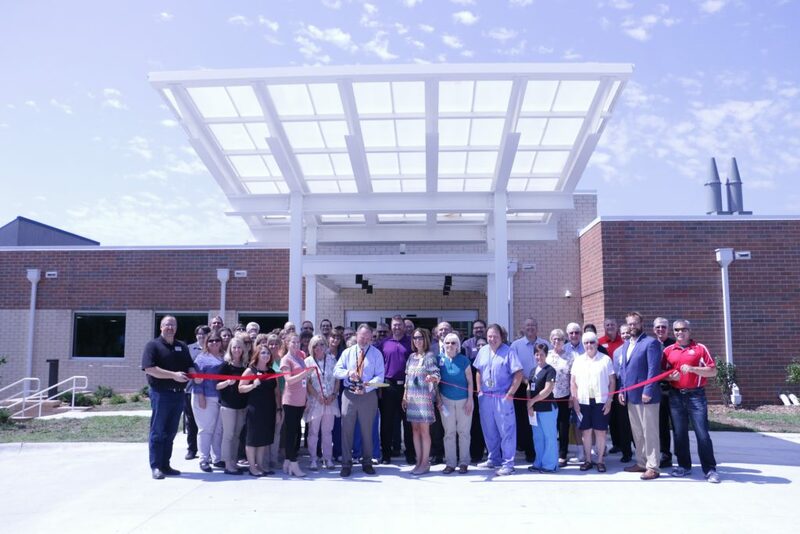 In August 2018, the Wamego Health Center team was joined by members of the community to unveil the upgraded facility.